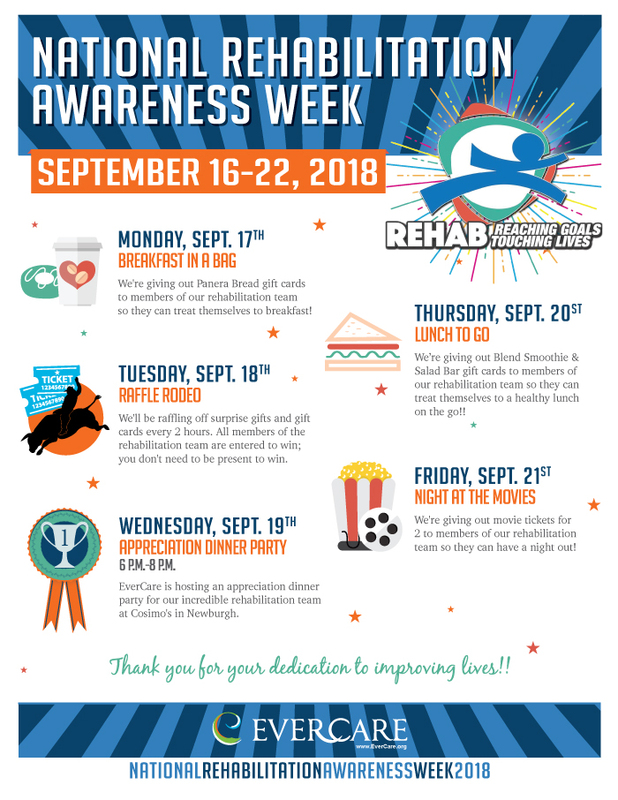 We’re celebrating National Rehabilitation Awareness Week to help show our appreciation for all that you do to improve lives! We’re giving out Panera Bread gift cards to members of our rehabilitation team so they can treat themselves to breakfast! We’ll be raffling off surprise gifts and gift cards every 2 hours. All members of the rehabilitation team are entered to win; you don’t need to be present to win. EverCare is hosting an appreciation dinner party for our incredible rehabilitation team at Cosimo’s in Newburgh. We’re giving out Blend Smoothie & Salad Bar gift cards to members of our rehabilitation team so they can treat themselves to a healthy lunch on the go!! 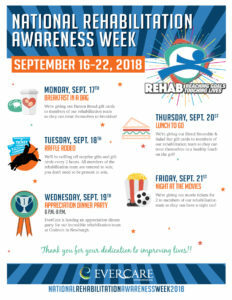 We’re giving out movie tickets for 2 to members of our rehabilitation team so they can have a night out!